Morgan’s senior session took place in downtown Bristol, VA., and ended in a field in Bristol, TN. Lucky for us, this field was to yet to be mowed so we were able to get this session in before they did mow it, with only hours to spare! 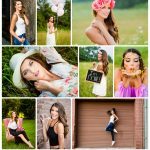 Morgan is not only a senior, she is also a former Miss Tennessee Teen USA and a joy to work with!